The Old Pine Theater. Pine Island, MN. 7:30pm. Becky Schlegel, Kenny Wilson & Heath Loy. ReBlossom at Squash Blossom Farm. Oronoco MN. ReBlossom at Squash Blossom Farm! Becky Schlegel showcasing her Folk Art and also Providing a set of music. Times yet to be determined. Please contact info@beckyschlegel.com if inquiries. FACEBOOK: Squash Blossom Farm for more details. ReBlossom at Squash Blossom Farm! Saturday/Sunday. Becky Schlegel Providing background, dinner music at Forager. Becky Schlegel showcasing her artwork at “ART ON THE AVENUE” in Rochester, MN. "Music On The Patio." BB's Pizzaria. Rochester, MN. Dinner Music at BB’s Pizzaria. Rochester, MN. "A Trashy Little Barn Dance!"... featuring Trailer Trash. Featuring the AMAZING band… “Trailer Trash”! …get your dancing boots ready! Doors open at 5:30pm. Dinner starting at 6… featuring BARREL CATERING. Opening act by Becky Schlegel & Heath Loy! @7:30pm. Trailer Trash 8:00pm - 11:00pm. More information on FB. Loy Show Barn. Midwest Country Theater. Sandstone, MN. Becky Schlegel at The Midwest Country Theater, Sandstone MN. Opening for Branson On The Road! Thursday, June 20. 2:00 PM show. Becky Schlegel & Heath Loy playing at “The 318” in Excelsior MN. Crossings At Carnegie! Zumbrota, MN. One of the most BEAUTIFUL venues I know of… I’ll be playing with the amazing banjo player, Heath Loy. Crossings At Carnegie, in Zumbrota MN. Becky Schlegel & Joe Cruz performing. Summer series at beautiful, Rib Mountain State Park . "Concerts in the Clouds"
Taking place in a natural amphitheater overlooking Wausau from 700 feet up, in "Wisconsin's highest music venue". Banjo Bash! Loy Show Barn. Oronoco MN. Banjo Bash! at Loy Show Barn. Featuring THE CLAY HESS BAND and THE GRAND OL’ :OPRY SHOW. Opry Show starts at 7PM. Becky Schlegel & Heath Loy at “Taste Of Pine Island” in Pine Island, MN. COUNTRY CLASSICS! Featuring The Becky Schlegel Band. 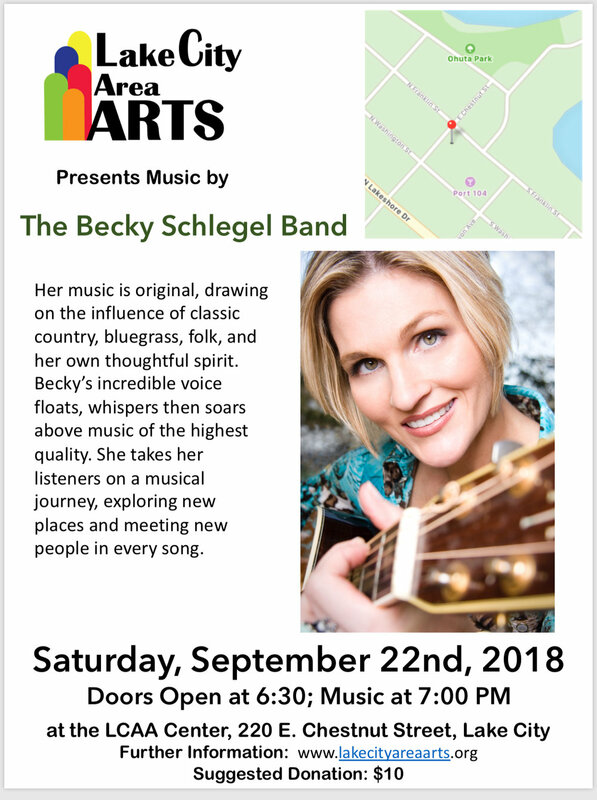 Bring your dancing boots and enjoy a beautiful summer evening listening to the Classic Country sounds of The Becky Schlegel Band. 401 Lake Avenue. Fairmont MN. Tommy Brown & County Line Grass! LOY SHOW BARN. Tommy Brown & County Line Grass performing at LOY SHOW BARN. Becky Schlegel & Heath Loy doing a short opener for this fabulous band! Limited number of tickets available through eventbrite. Bluegrass Brunch in the barn. Private Event. COUNTRY CLASSICS featuring The Becky Schlegel Band. COUNTRY CLASSICS! 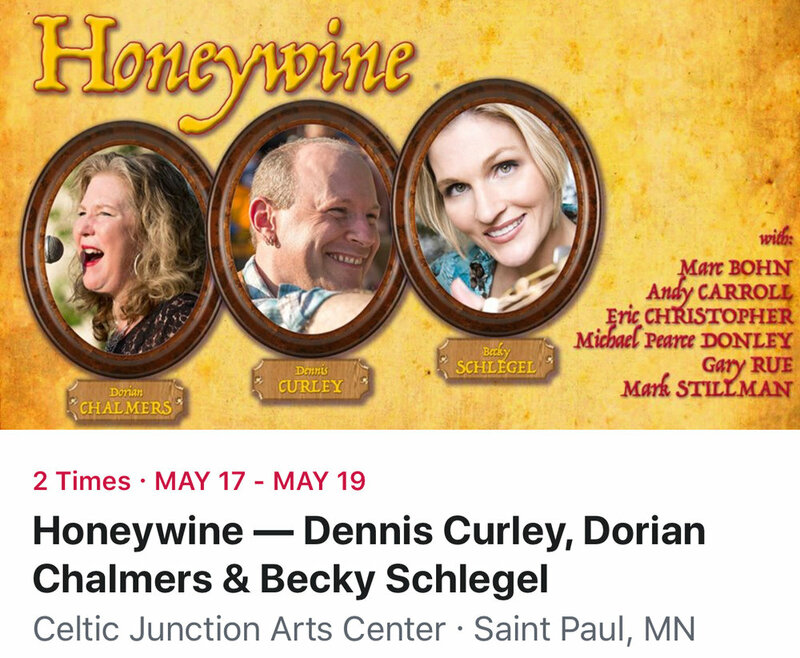 …featuring The Becky Schlegel Band. Becky Schlegel at Mabel Tainter Theater, in Menomonie, WI. Becky Schlegel Band performing at Mabel Tainter Theater in Menomonie WI! Becky providing special music for residents at Samaritan Bethany. Private Event. Fundraiser for Stillwater Police Association. Stillwater MN. 504 Tavern Holiday Market. Art Exhibit. The Canadian Honker, Rochester MN Dining Music. Apple River Opry, Amery WI. Becky Schlegel with Heath Loy & Kenny Wilson at The Apple River Opry in Amery Wisconsin! Oktoberfest at LOY SHOW BARN. David Davis & The Bluegrass Warriors performing at Loy Show Barn in Oronoco MN. For more information, visit Facebook Page, Loy Show Barn. Apple River Opry. Amery Wisconsin. Becky Schlegel with Heath Loy in Amery Wisconsin. Apple River Opry. Becky in Lake City, MN! Great venue, house concert feel. More information to come. Becky Schlegel at The Clay County Fair. Becky at The Clay County Fair, Spencer Iowa. Becky Schlegel at The Clay County Fair! Becky Schlegel & Heath Loy performing in Pine Island, MN for "Taste Of Pine Island"
Becky Schlegel opening for the amazing Terry Smith! The Canadian Honker. Dining Music. Becky Schlegel providing dinner music from 7pm - 10pm. Becky Schlegel with Heath Loy at The Apple River Opry in Amery Wisconsin! Truman Days, Truman MN. Summer Public Event. City Park.